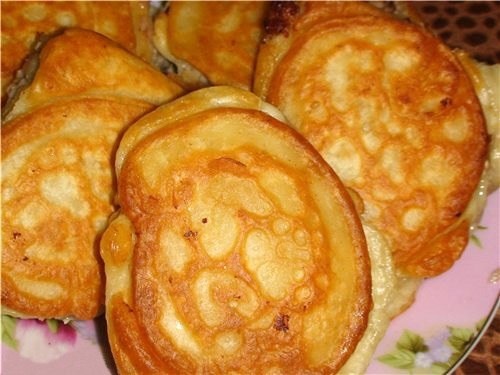 Pancakes on kefir slightly thinner traditional pancakes and they taste more tender and reminiscent of pancakes. - vegetable oil, which will fry. In a small pan put the cheese and break 2 eggs. Carefully stir the mixture so that the cheese was no grains. Heat the yogurt and pour the mixture of cheese and eggs. Add salt, sugar, vanilla and flour. The dough mix well and leave it for about 20 minutes. Pour the required amount of vegetable oil in a heated pan. The resulting dough with a spoon into the pan at the rate of 2 tablespoons for 1 cheesecake. Cover the pan with a lid and reduce the heat. 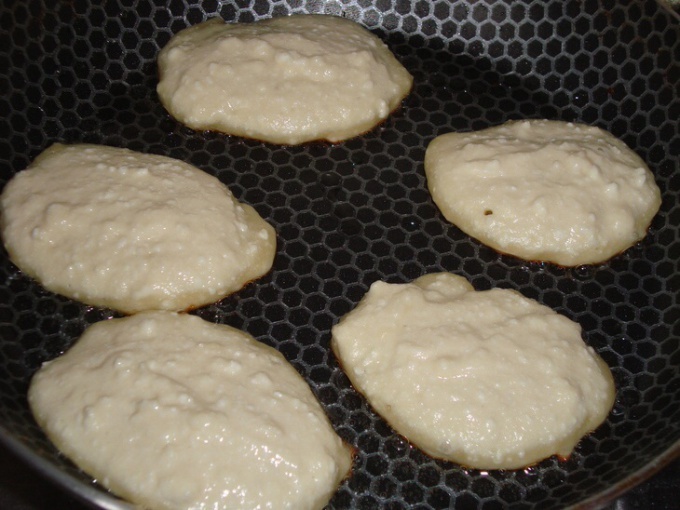 After that, as the cheese browned, you can flip them again and fry with the lid closed. This quantity of ingredients is enough for 15 pancakes. The dough does not form lumps, it is necessary to stir the curd and add the warmed yogurt. 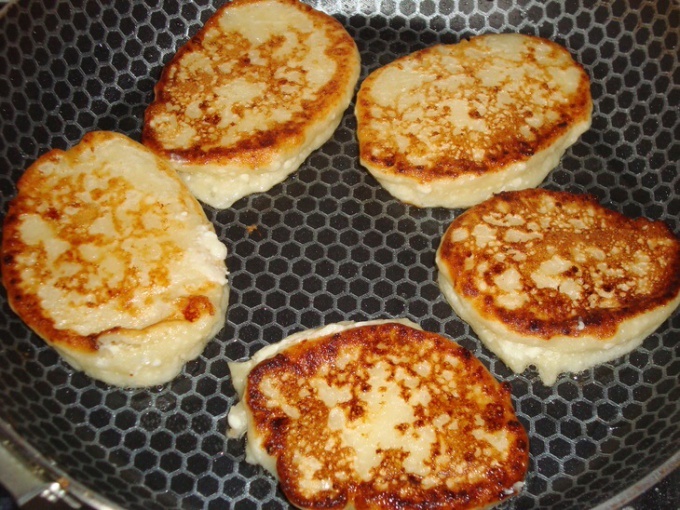 Ready pancakes go well with jam or sour cream.